CyanogenMod has seen better days as an organization, but the team behind the open-source Android custom ROM doesn't seem to be slowing down its prodigious output. In the last week new nightly builds have been added for no less than ten new phones and tablets, including notable models from Motorola, Samsung, OnePlus, and Amazon. All of them now have CM 14.1 (based on Android 7.1.1 AOSP code) builds available. Got an old phone that the manufacturer or carrier has stopped pushing updates to? 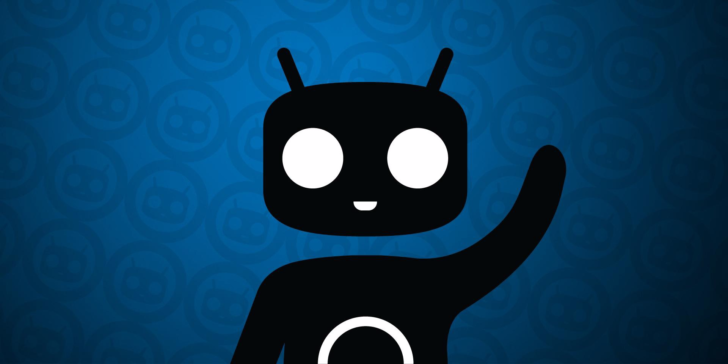 Chances are, there's a CyanogenMod ROM that will breathe life back into it. This week, CM maintainers have brought CyanogenMod 14.1, which is based on Android 7.1.1 Nougat, to the AT&T and T-Mobile versions of the Samsung Galaxy S III, the LTE model of the second-generation Moto E, the Moto X Play, and more. I'm not going to tell you why you may want to install a custom recovery. You already know you need one to replace your default ROM or make carbon copies of your device's current state. And you know that the Team Win Recovery Project's custom recovery is at the top of your list of options. Now TWRP has arrived for quite a few devices, including a buttload of Xiaomi phones. 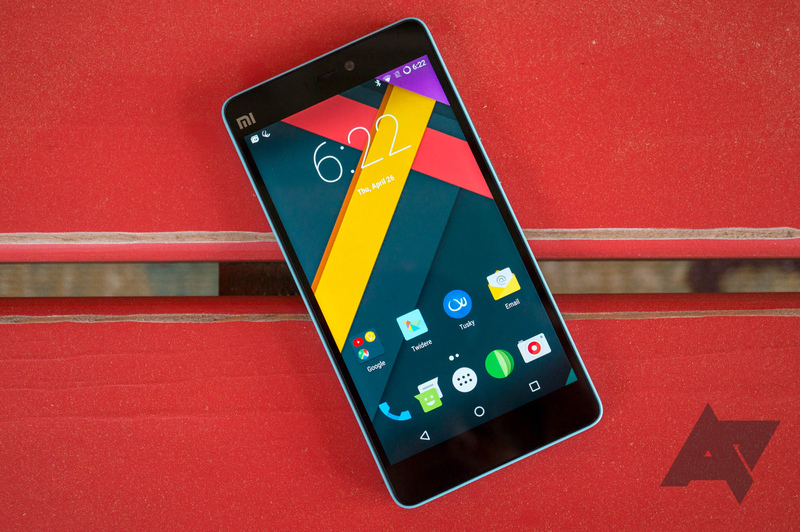 We're talking about the Mi 2 and Mi 4, along with their various versions. 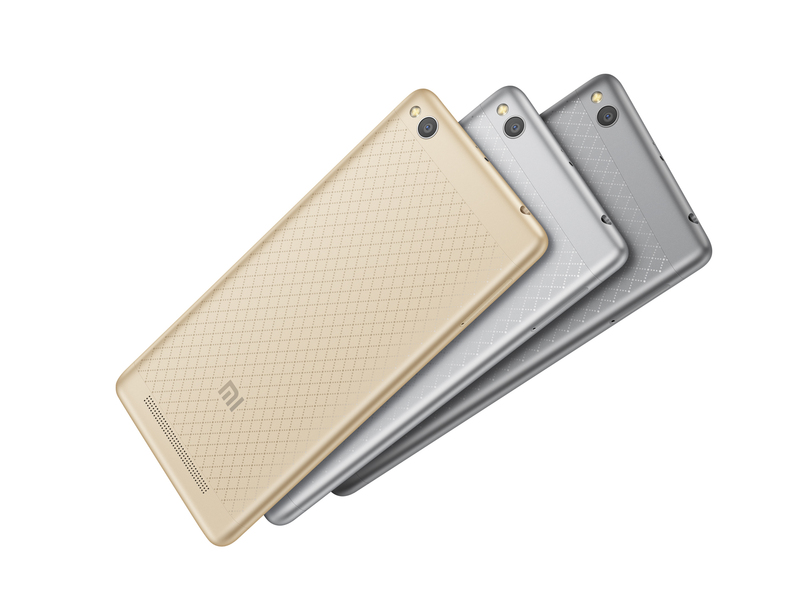 There's the Redmi 3, Redmi Note 2, and even the Mi Pad. These make the list not long after the Redmi Note 3 did the same. No, the 2nd gen Moto E LTE doesn't have Android Marshmallow in the US, but the spiffy little phone did get the update elsewhere. Now Motorola has posted the open source kernel files for said release onto GitHub. The files are for developers and tinkerers who can use the code to optimize apps or bring Android 6.0 ROMs to the device. General users can't make use of this code, but for Americans who bought this device, watching what the custom ROM community does with this code appears to be as exciting as waiting for Marshmallow is going to get. Some 2nd gen Moto E owners have it better than others.The long-awaited Marshmallow update appears to be making its way to handsets in India. When Marshmallow was first released, Motorola released a list of devices that it deemed Marshmallow-worthy. Noticeably absent from that list was the Moto E 2015 (2nd gen), despite the company promising timely updates in its marketing of the device 219 days earlier. 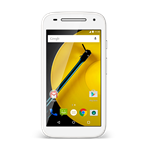 That caused a legitimate online uproar from Moto E users who weren't expecting to be left behind so abruptly and cold-bloodedly. So what's the company to do to silence the cries of scorned loyal users? Do an about-face and fix the issue, that's what. Except it still didn't manage to fully solve the problem for everyone. 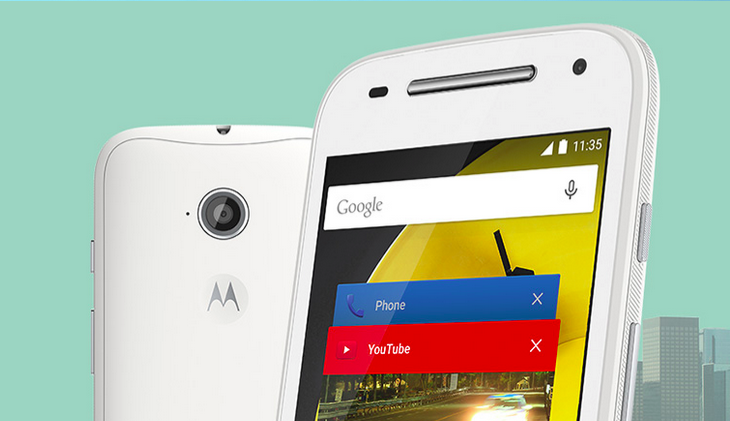 The Moto E is the most interesting addition to that list. I'll be blunt—it's been a long time since I've cared about the availability of CyanogenMod nightlies. It's not that I have anything against flashing custom ROMs. It's just in the past several years, stock Android has been pretty good. Even the skinned versions like HTC Sense have reached a point where I feel fine leaving them alone. 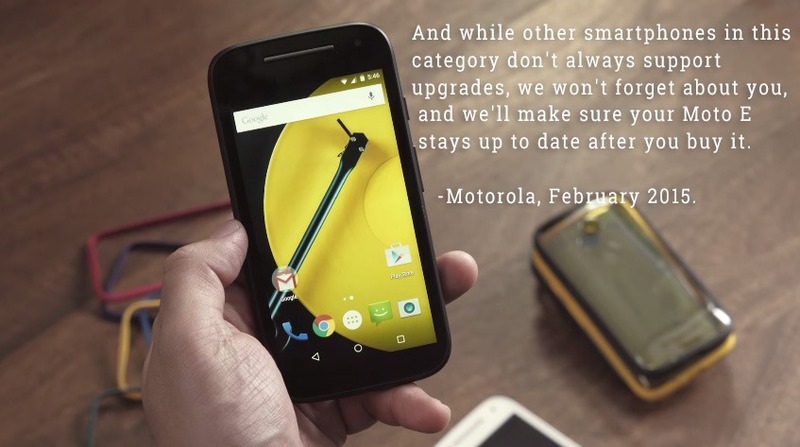 But then I got a Moto E, and only a month later, Motorola announced that it didn't have any plans to upgrade the phone to Marshmallow. Sure, it's a cheap little handset, but it's one I like very much. It's small enough to fit nicely in my pockets, it's comfortable to hold, the battery life is great, and non-Verizon models come with virtually no branding. Today, Motorola published a list of the devices it would be updating to Android Marshmallow. And to be clear: that list is of planned updates. All of them. If a device is not on that list, Motorola is not planning on upgrading it to Marshmallow at this time, and that means those plans are unlikely to change. We even have explicit confirmation that Moto X 2014 AT&T and Verizon models, which do not appear on this list, will not be getting Android 6.0.